Authorities outside The Argyle in Hollywood after shots were fired from a possible BB gun on Saturday, Aug. 13, 2016. 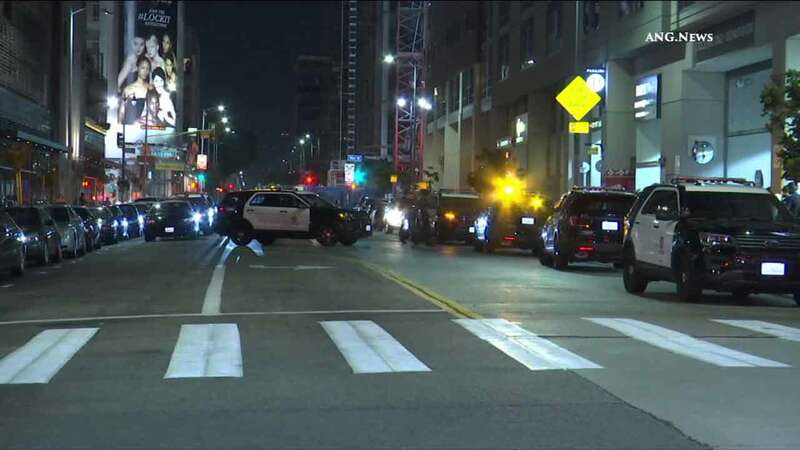 HOLLYWOOD, LOS ANGELES (KABC) -- Shots from what may have been a BB gun were fired at nightclub goers in Hollywood late Saturday night. Los Angeles police said several people waiting in line outside The Argyle near Argyle and Selma avenues reported being shot with what appeared to be BB pellets. Witnesses and police said as many as three people were hit but injuries appeared to be minor. No one was taken into custody as of Sunday morning, according to authorities.